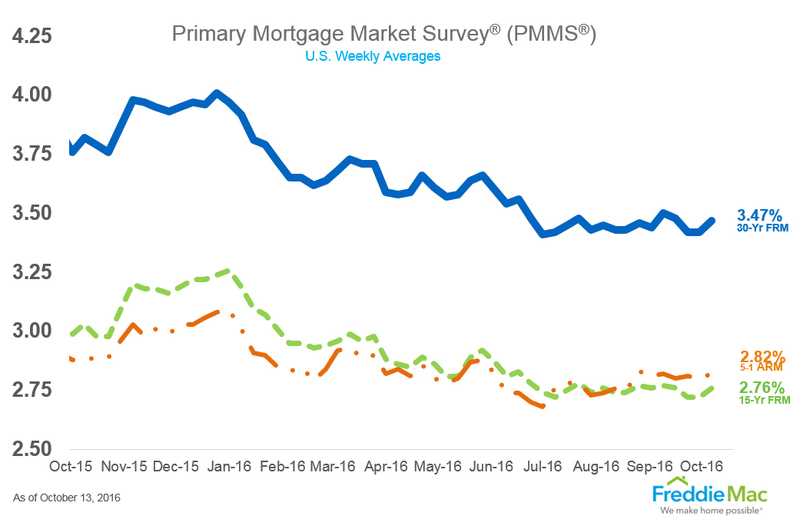 The 30-year fixed-rate mortgage (FRM) averaged 3.47 percent with an average 0.6 point for the week ending October 13, 2016. This is up from last week when it averaged 3.42 percent. A year ago, the 30-year FRM averaged 3.82 percent. Mortgage applications for new home purchases increased 3 percent year-over-year. Applications decreased 7 percent month-over-month. Conventional loans comprised 68.8 percent of loan applications. Mortgage applications decreased 6.0 percent from one week earlier for the week ending October 7, 2016. The refinance share of mortgage activity decreased to 62.4 percent of total applications from 63.8 percent the previous week. The average contract interest rate for 30-year fixed-rate mortgages with conforming loan balances increased to 3.68 percent from 3.62 percent the previous week. 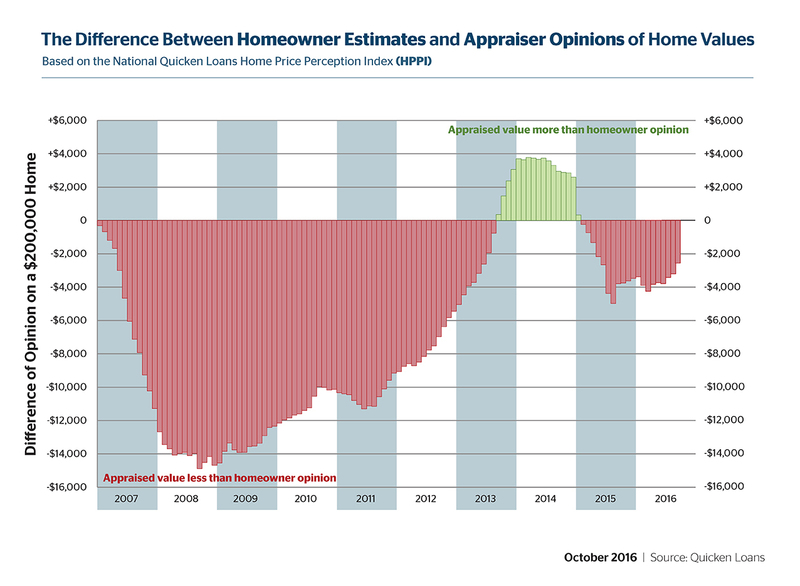 Appraisals lagged behind homeowner estimates by 1.26 percent in September. This is a smaller gap than recorded in August 2016 — a 1.56 percent gap between perceptions. This is the third consecutive month wherein appraiser and homeowner estimates became more closely aligned. Foreclosure inventory was down 3.2 percentage points in August 2016 from July 2016. 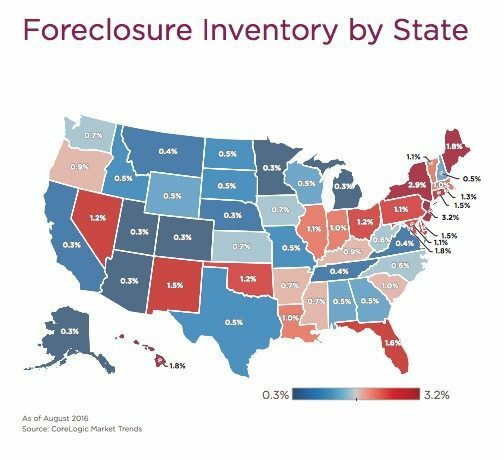 Foreclosure inventory fell by 30 percentage points year-over-year. This was the 58th consecutive month of year-over-year foreclosure declines. What effect could unemployment have on the election?